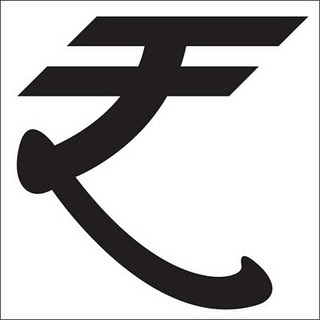 The Indian rupee joined in the elite club of major currencies like the dollar, euro, pound sterling and yen to have a unique identification symbol. 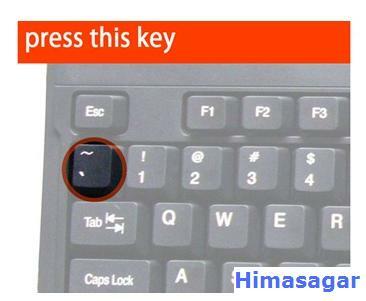 If you want to use new Indian Rupee Symbol on your computer keyboard , you first need to download the Indian Rupee font Rupee font "Rupee Foradian" is designed by Foradian Technologies Pvt Ltd(http://blog.foradian.com) and it is available for free download. 1. Download the Indian Rupee font > Click Here..
2. Copy the font in font directory OR right click on font and select install. 3. How to type the Indian Rupee symbol ? 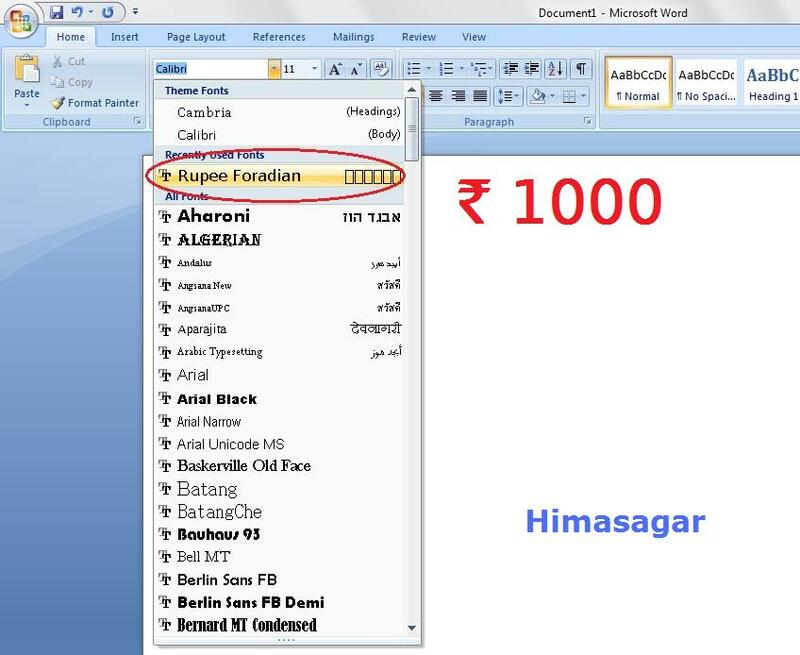 Open MS Word/ Outlook etc, select the Rupee Foradian font from the drop down menu and type the " ` " ( Grave accent) symbol (Key just above the “tab” button in keyboard). Now it will display the new Rupee symbol. Please find the below screenshots for more details.